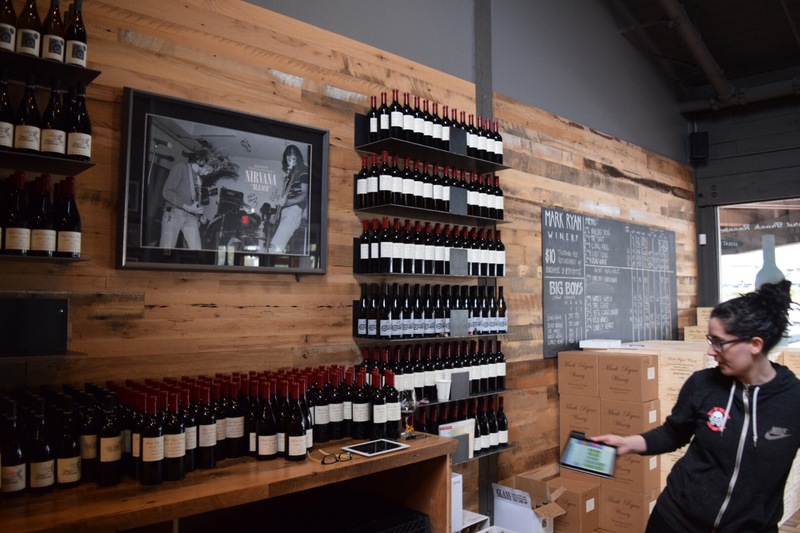 Mark Ryan Winery Woodinville – A Super Modern and Northwest-y Tasting Room that you MUST TRY! – Abbey Co.
Mark Ryan Winery Woodinville – A Super Modern and Northwest-y Tasting Room that you MUST TRY! Guys, this winery is so major… I can’t even begin to tell you how much. I’ll try to set the scene, but I’m going to start by telling you that you just have to go and give it a try yourself! We were out to brunch in Woodinville one Sunday and wanted to stop at a new winery we had never tried before, pulled up a map and Mark Ryan popped up right around the corner. We had meant to give them a try in the past, so we figured it was about time we checked them off our list! The tasting room from the exterior is very non-suspecting. However, you walk in and instantly can feel this is the place to be. The place was buzzing! Tall ceilings with modern art all the way to the top, people socializing with friends while having a glass at a table, dogs lounging on the floor… it just felt like things were happening. I went up to the bar and was greeted by staff wearing Rock & Roll T-Shirts. 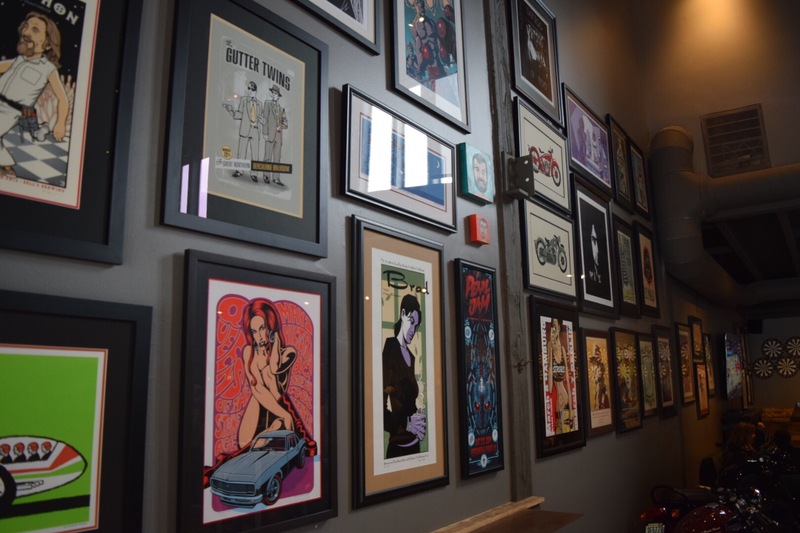 A Nirvana poster was the headliner behind the wine bar. Dart boards plaster the back wall. 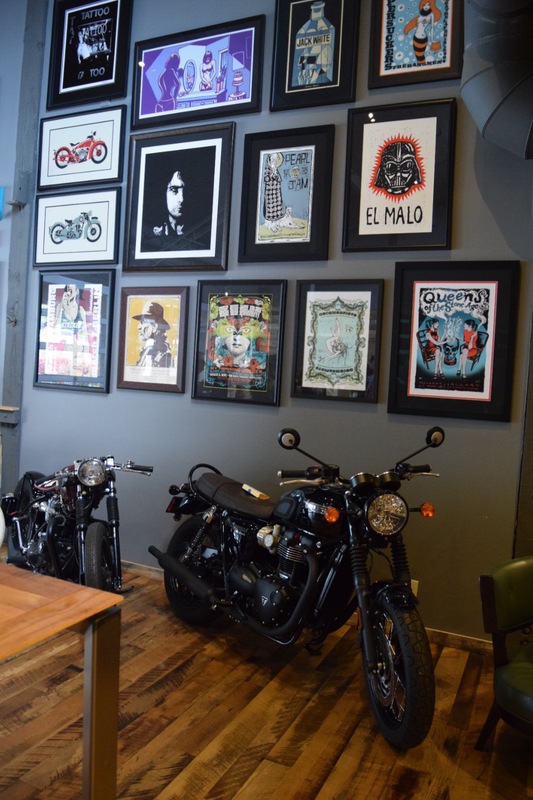 There are motorcycles and even a painting of Darth Vader for crying out loud! Such a cool vibe. Very Seattle/modern/trendy, and I love it. Some of the artwork and the back of the room display! Sports on TV, dart boards, skull artwork… this place is modern Seattle hipster heaven… in winery form! 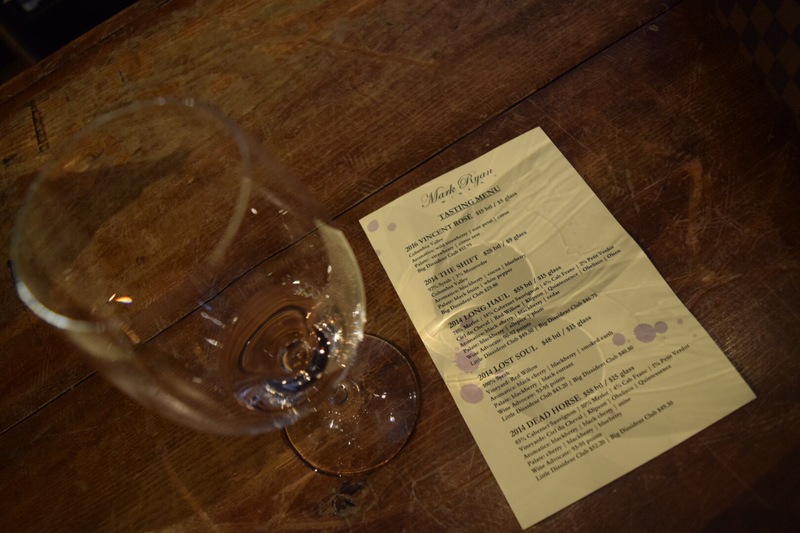 The person pouring my tasting gave me a cool 30 second story about the winery (they were insanely busy), but the owner is a self-taught former industry salesperson turned winemaker. They won a whole bunch of awards in the past couple years and have skyrocketed since then! (He is obviously doing things right). I of course was so enamored that I had to inquire about their wine club. They do releases twice a year, and throw a big release party on-site catered by the Barking Frog food truck. Okay, no further sales pitch required guys… where do I sign? HAHA! This place was hopping for a Sunday afternoon! So much energy, it was great! I love the airiness you get with the tall ceilings! So in summary, the wines are great and the concept is perfectly executed. Mark Ryan Winery is a breath of fresh modern air in Woodinville wine country, which is stuffed full of qaint little silent tasting rooms. The wine is delicious and their events perfectly catered to the modern Pacific Northwestern’er. Mark Ryan is on my MUST TRY list when visiting Woodinville for wine tasting! El Malo? Pearl Jam? Queens of the Stone Age? Pretty sure this is what the inside of my husband’s brain looks like! Absolutely love the Nirvana poster behind the main tasting counter. All the Seattle YES. Ok, I am sold! I am going to show this to my hubby and get this on the list. Its funny that you would do this post now because we were just talking about finding a winery in Woodinville. Thanks for the review! It’s awesome I love it! Their lineup is red heavy, but they are all good so no complaints from me 😊Let me know how you like it! !